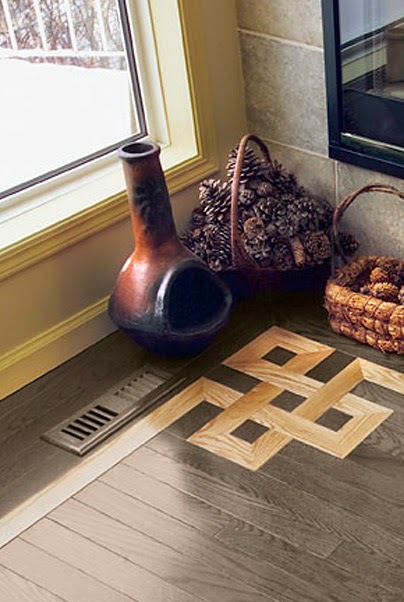 Hardwood floors come in a variety of styles and prices. From the most expensive - solid hardwood - to the least expensive - laminate wood - hardwood floors are a beautiful investment in your home. How do you decide which is best for you? Budget is certainly one factor. Let's try to break down hardwood flooring prices. Solid hardwood is always going to be at the top of the price range. Particularly if you're looking at exotic hardwoods such as mahogany, Brazilian cherry or teak. With proper maintenance, solid hardwood will last the lifetime of your home. It's heavy; can be sanded and refinished multiple times; and installation is expensive because of the natural characteristics of each board. Learn more about solid hardwood flooring from Indianapolis floor store Kermans. Engineered wood is a little easier on the budget because it combines the strengths of solid hardwood with the flexibility of manufacture, laminate wood. Just like solid hardwood, exotic finishes are going to be more expensive than more common wood species such as oak or maple. Laminate wood offers the most affordable wood flooring option. It's not quite as durable as solid hardwood but it is also not nearly as susceptible to problems from moisture or humidity. Laminate flooring is also very easy to install. Laminate flooring has come a long way and is available in a variety of finishes that can be the perfect fit in many room situations. Learn more about engineered and laminate wood flooring. You should also consider cork flooring and bamboo flooring. Often times these environmentally friendly wood options are easier on the budget while offering many of the features of hardwood, engineered wood or laminate wood flooring. Each type of wood floor has its own benefits and strengths. You can learn more about the different types of hardwood flooring prices and options at Kermans in our Types of Hardwood section. Hardwood flooring prices are dependent on a number of factors particularly wood species and grade of wood. Let the experts at Kermans help you understand the range of hardwood flooring prices and the benefits of each type of wood flooring. Stop by our showroom on the northside of Indianapolis to see our hardwood floor options and learn which is the best fit for your home.